An ISO image is an archive file of a CD/DVD. Sometimes you may need to burn an Acronis ISO image to a CD. This may be an ISO image that you created using an Acronis product, or a custom ISO image that you received from Acronis Customer Central. You can also download an ISO image for your registered product from Acronis website: see Downloading Acronis Bootable Media. 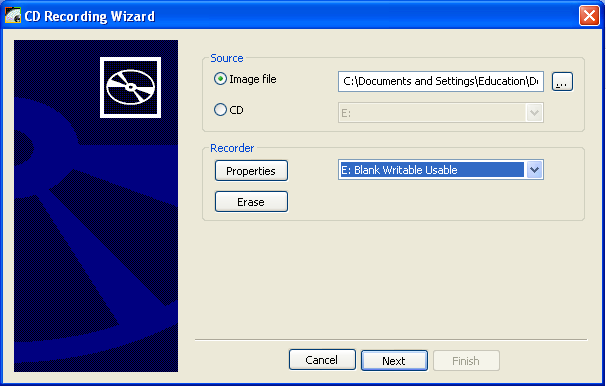 However the CD burning software preinstalled on your computer may only allow to burn regular files. Make sure there is a blank CD in the drive. Click Next. Now you can boot your machine from the CD. Make sure that CD is specified as the first boot device in BIOS. 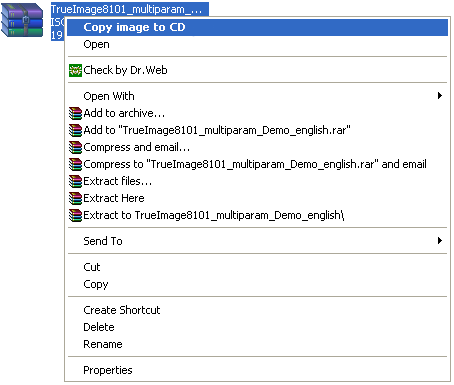 In Windows 7, Windows 8/8.1 and Windows 10 you can burn ISO images natively. See Burn ISO Images Natively in Windows 7 and Burn ISO Images in Windows 8/8.1(also applies to Windows 10). (!) Note that it is absolutely normal, if the Windows Explorer does not show any files on the CD after burning.